Thank you to everyone who participated in the RomVets Veterans Day Blog Hop!! Although I had 24 comments, there were only 23 commentors. One person left two responses. 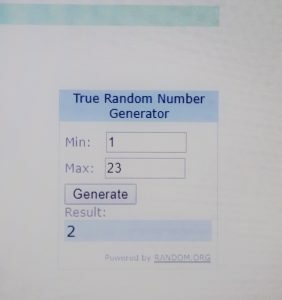 I used random.org to pick the winner. Congratulations, DENISE AUSTIN!! Denise, please contact me at junorushdan@gmail.com and I will send your $10 gift card. The GRAND PRIZE WINNER for the $50 Amazon Gift Card was Sue MacKenzie. Sign up for a chance to win a monthly gift card and get exclusive content. No spam. Your information is private. Designed by Frostwolf Design. Content © Juno Rushdan 2019. Join Juno’s Adrenaline Rush Club for a FREE Final Hour series novella, exclusive book news, giveaways, and sneak peeks. No spam. Your information is private.